Senegal striker, Sadio Mane has bragged that they will defeat the Super Eagles when they meet in a friendly match this Thursday, as they are not the best team in Africa anymore. Nigeria and Senegal will play an international friendly at The Hive, home ground of Barnet Football Club, in London. 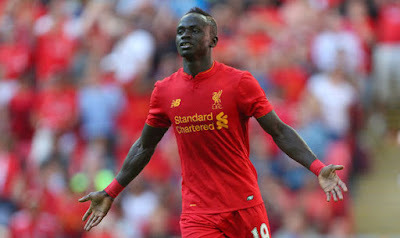 Mane, who has been in inspired form for Premier League side Liverpool, says they have overtaken Gernot Rohr’s men. “Senegal is the best, Nigeria not best anymore. Senegal will beat you guys in London,” Mane told newsmen. The Terranga Lions are using the match, as part of their preparation for their 2019 Africa Cup of Nations (AFCON) qualifiers against Equatorial Guinea in June. They also have a 2018 FIFA World Cup qualifying double-header against Burkina Fason later in the year.